Image of the night sky above Paranal on 21 July 2007, taken by ESO astronomer Yuri Beletsky. 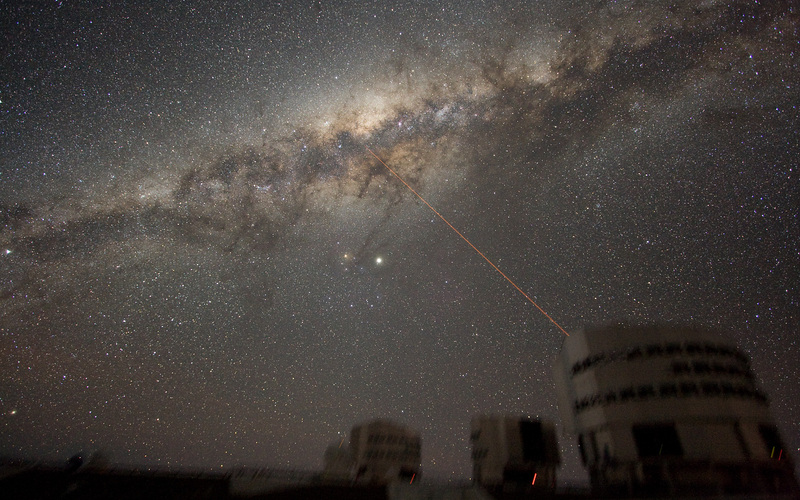 A wide band of stars and dust clouds, spanning more than 100 degrees on the sky, is seen. 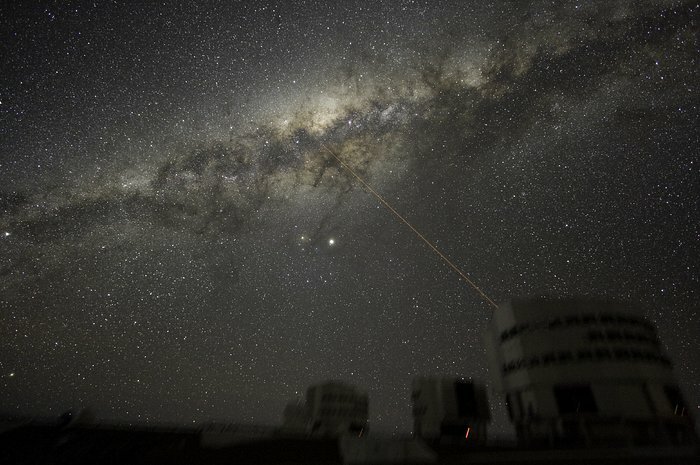 This is the Milky Way, the Galaxy we belong to. At the centre of the image, two bright objects are visible. The brightest is the planet Jupiter, while the other is the star Antares. 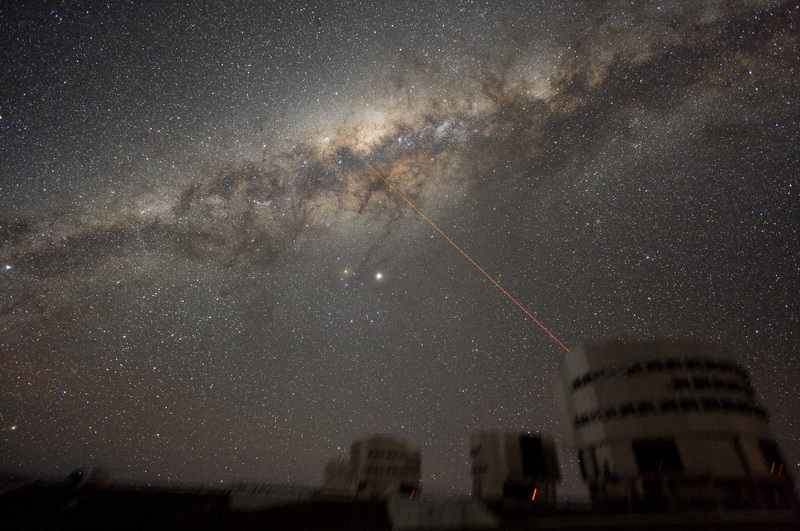 Three of the four 8.2-m telescopes forming ESO's VLT are seen, with a laser beaming out from Yepun, Unit Telescope number 4. The laser points directly at the Galactic Centre. 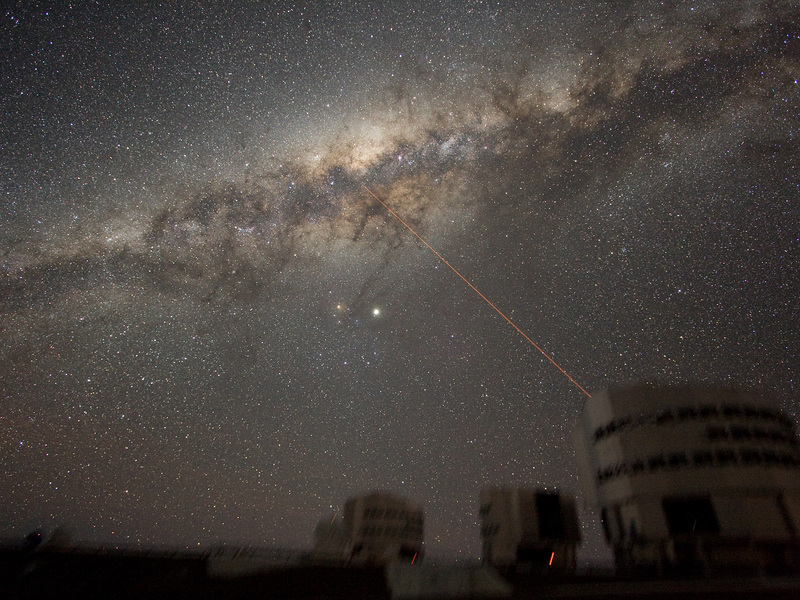 Also visible are three of the 1.8-m Auxiliary Telescopes used for interferometry. They show small light beams which are diodes located on the domes. The exposure time is 5 minutes and because the tracking was made on the stars, the telescopes are slightly blurred.